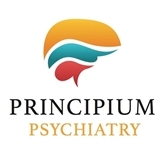 Principium Psychiatry (New York) - Book Appointment Online! Dr. Cohen's practice offers comprehensive treatment for mood and anxiety disorders. In addition to psychopharmacology and psychotherapy, Dr. Cohen's office offers Transcranial Magnetic Stimulation (TMS), a medication free alternative treatment for depression and other disorders; Ketamine, a cutting edge psycho-pharmcological approach to depression; and pharmaco-genetic testing to help guide the approach to medication. Dr. Cohen is Clinical Assistant Professor of Psychiatry at Weill Cornell Medical College of Cornell University, where he teaches medical students and psychiatry residents. He has served as a hospital psychiatrist, a military psychiatrist, and an emergency room psychiatrist, and has experience treating a wide range of disorders. Dr. Cohen is authorized to prescribe Suboxone (buprenorphine) for the treatment of opioid dependence. Dr. Schneck is an excellent psychologist - warm, compassionate, and caring. A very good listener who provided me with important insights starting with our first session. I highly recommend. Extremely nice. I felt very comfortable during my appointment. She was knowledgeable and made me feel well taken care of.